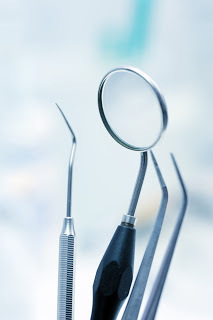 Periodontal therapy is treatment for periodontal disease, aka gum disease. How serious is gum disease? According to some estimates, a majority of the adult population has some form of it. What’s more, though gum disease starts out mild, if left untreated it can lead to serious oral health problems. In fact, gum disease is the number one cause of adult tooth loss. All of which means that periodontal therapy is important for anyone with even mild symptoms. Are you experiencing one or more of these symptoms? Contact Smile by Design in Virginia Beach for an appointment with Dr. Santos or Dr. Folck. During your appointment, we can talk to you about our approach to periodontal therapy, which involves scaling and root planing. Even though gum disease isn’t fully curable, the symptoms can be treated and its progress can be halted. Scaling and root planing is a deep cleaning method that lets us remove bacteria and plaque from deep below the gumline. Following your advanced care, regular brushing and flossing, plus twice yearly dental appointment, are important for helping your smile stay healthy. Call us to set up an appointment. We can put together a periodontal therapy plan designed around your specific needs so that you can return to good oral health and find relief from your symptoms. Dr. Santos and Dr. Folck provide effective periodontal therapy to patients from Virginia Beach, Fort Story, and Northeast Virginia Beach.